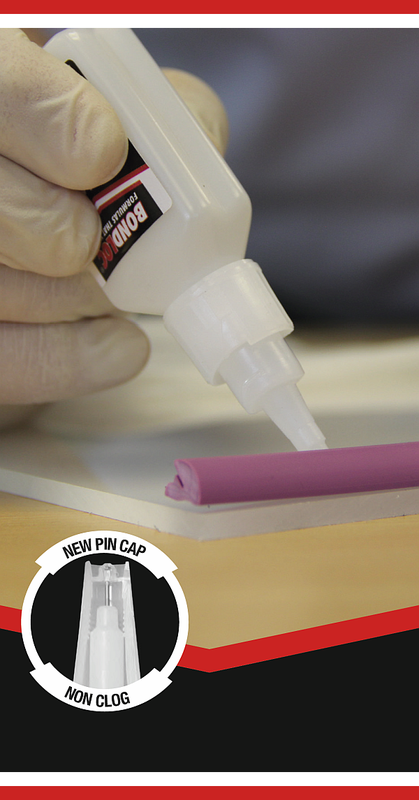 Cyanoacrylate adhesives cure through reactions with moisture held on the surfaces to be bonded. They require close fitting joints and usually solidify in seconds which has resulted in the universal generic name of “superglues”. Gelled variants are also available to allow bonding of wider gaps and are ideal for vertical or overhead surfaces.